This week started with a lot of excitement. Today a baby sloth found its way to the ground near one of our observation nests. Adorable. Take a look, he is in pure slothy bliss! There are 6 types of sloths globally and Panama has 3 of them. 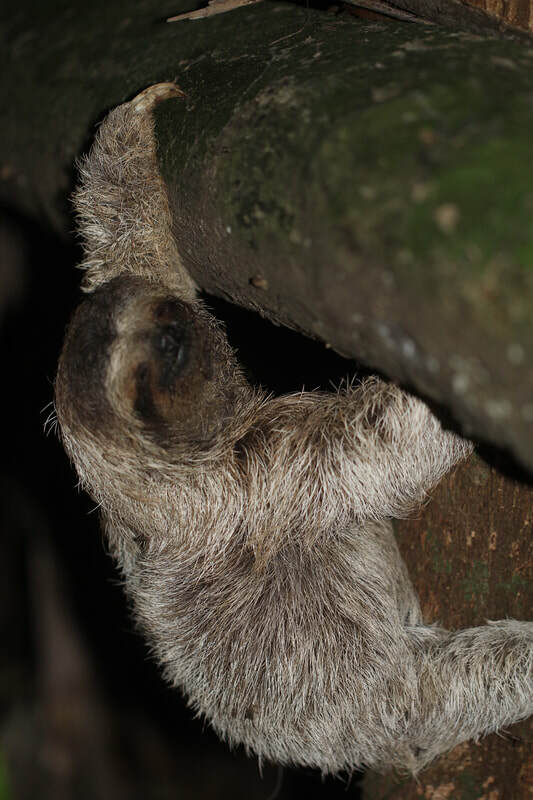 The three types found here are: the two-toed, three-toed, and pygmy sloth. This little buddy is a three-toed sloth, Bradypus variegatus. Ok, buckle up! 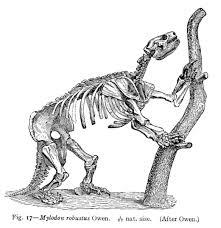 As if sloths weren't already awesome, prior to the last glaciation there used to be GIANT sloths that were ground dwelling. Estimated to be 400 lbs on average, that is 20 times larger than today's sloths. Here are some cool papers about their DNA, diet, and life histories. Ahhh... wait, it gets even COOLER! When Charles Darwin was taking his famous voyage on the M.S. Beagle he found what he hypothesized to be rhinocerous jaw bones in the Pula Alta mountains of Brazil. Later scientists would discover this was actually the jaw of a Mylodon! Hence it's scientific name (darwinii) this is thought to be Darwin's first discovery.